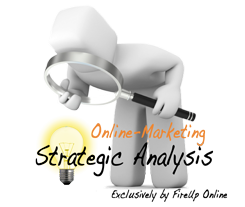 In order to Fire Up your Online Presence, we need to take a detailed look at your business by conducting our Online Marketing Strategic Analysis. We will carefully analyze all aspects of your current online situation, and make recommendations accordingly. Your history, vision, target markets, strengths, challenges, competition…all vital pieces of information in forming the Online Promotion Strategy for your business or organization. Think of this as our opportunity to get to know you and your business. Oh and, rest assured, any information you submit is kept strictly confidential. As an introduction, please Click here to read a letter from the owner. Business Purpose Statement (mission): "We exist to..."
Thank you for reaching out to FireUp Online! We will review your information and contact you promptly.